As part of an overall program, electrostatic dissipative (ESD) flooring and conductive coatings can help safeguard expensive equipment and personnel. What do electronics, avionics, and many other plastics and powders have in common? They can all be sensitive to electrostatic discharge. Facilities handling these products need reliable ESD or conductive concrete floor systems to help safely dissipate the electrostatic potential and prevent damage to expensive equipment, electrical shocks to personnel, arc flashes and similar incidents. With benefits like these, our ESD and conductive flooring systems give you the lasting aesthetics and safety assurances your facility, your personnel and your materials need. 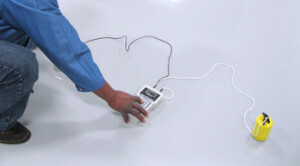 It can be difficult to determine whether your conditions call for ESD or conductive flooring systems. Avionics, semi-conductor, and electronics facilities, as well as plastics and powder manufacturers, converters, and packagers, all turn to the ESD Association for guidelines to putting together their company-wide safety programs. Our zero-VOC conductive epoxy flooring system offers high performance industrial coating protection to hazardous or explosive environments within solvent-restricted facilities. The product performs in accordance with EOS and ANSI/ESD STM 7.1 (point-to-point and point-to-ground resistance, EOS/conductive 7.1, 25,000-1,000,000 Ohms), demonstrating consistent dissipation of a 5000 volt charge to 0 volts in less than 0.01 seconds. 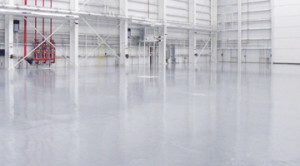 Our solvent-free ESD epoxy flooring and low-VOC ESD chemical-resistant urethane concrete coating provides sensitive air hangars and equipment and product handlers the ESD Association-recommended protection they need. The flooring systems’ point-to-point and point-to-ground resistance of 1.0 mega ohms meets EOS/ESD 7.1 standards, ensuring proven ESD floor protection and peace of mind.